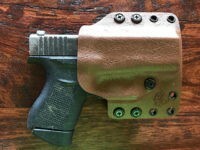 The Bravo Concealment BCA 3.0 is an outside-the-waistband Kydex holster with retention adjustment for secure carry. 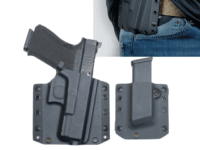 The Bravo Concealment outside the waistband (OWB) pistol and magazine holster combo gives you everything needed for concealed carry. 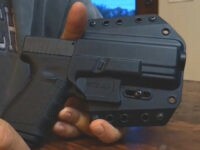 TalTac outside the waistband (OWB) Kydex holsters hold a pistol high and tight against the body, thereby eliminating the chances that the gun will print or be visible below clothing, even if the carrier is wearing a t-shirt. 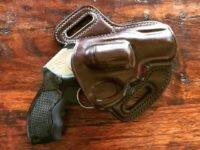 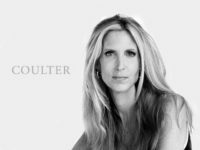 Last week Breitbart News visited the headquarters of Galco Gunleather and literally walked by table after table of leather holsters that were the product of American-made craftsmanship.